From early in the morning in our cafeteria the tinkle of coffee cups sounds and you can smell our delicious toasts with butter. At midmorning you can have an appetizer based on traditional “pintxos” with a good wine from “La Rioja”. At noon and at night you can enjoy a casual lunch or dinner based on mixed dishes, salads and sandwiches to finish with your favorite drink. 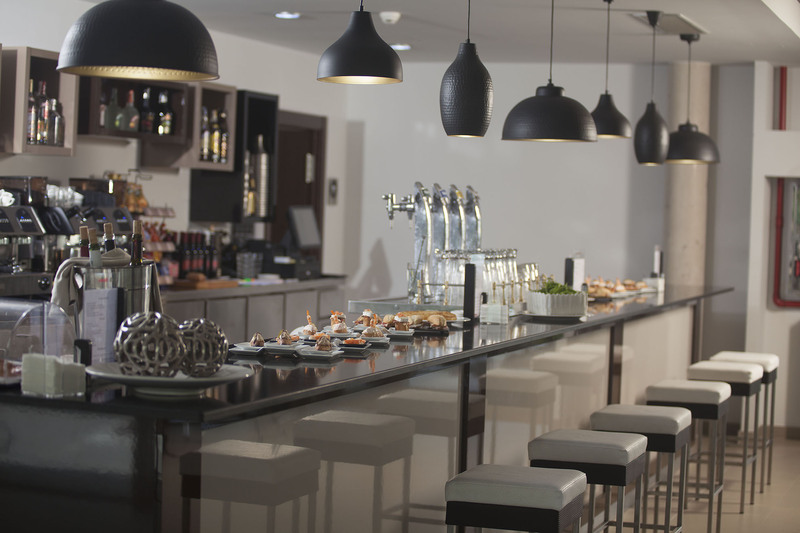 In the Hotel K10´s cafeteria the local public mixes with hotel guests creating a lively and warming atmosphere. Check our list of products on the left.